Polyurethane rebound stops have high strength with good elasticity and abrasion resistance due to the presence of polyurethane. 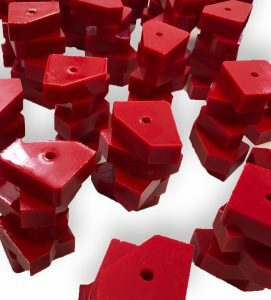 Plan Tech manufactures some of the best cast polyurethane rebound stops, our engineers put in their years of experience to ensure that a high-performance material is produced. Why choose Plan Tech cast polyurethane rebound stops? Excellent electrical insulator for potting or encapsulating applications. Enhanced Abrasion Resistance Urethane Additives: Inhance Technologies continually advances our unrivaled expertise in transforming commodity and engineering plastics and composites into high-performance materials. Add Inhance Product series particles to polyurethanes, epoxies, rubber, and other polymers to create composites that capture the unique benefits of UHMW without the processing difficulties posed by virgin UHMWPE. These benefits include superior abrasion resistance, reduced coefficient of friction. Are you interested in cast Polyurethane Rebound Stops? Please Contact us so we can help solve your requirements and work with you on your specific application!